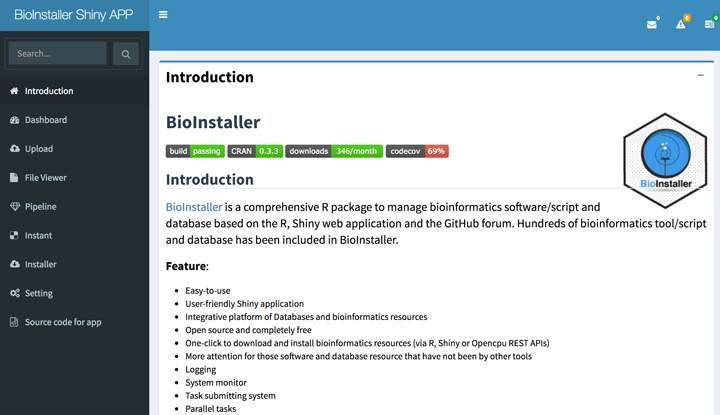 Shiny application of BioInstaller has been supported since v0.3.5. A pre-built Docker image can help you to start all configured BioInstaller services in one-click, which includes the R (v3.4.4), Opencpu server (v?? ), Shiny server (v?? ), and BioInstaller (v0.3.5). You need install the Docker program for futher opreations. It is required for running any Docker image including BioInstaller. When the docker container of BioInstaller was created, you can access the three types of web service in the browser. 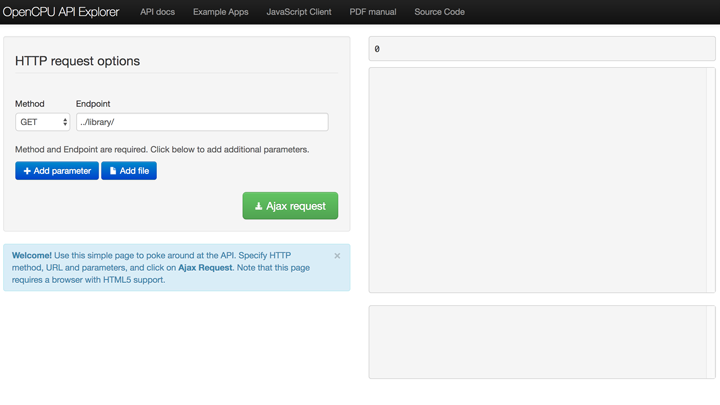 Open browser and input the URL “localhost/shiny/BioInstaller”. It will activate a Shiny session and start the BioInstaller Shiny application. 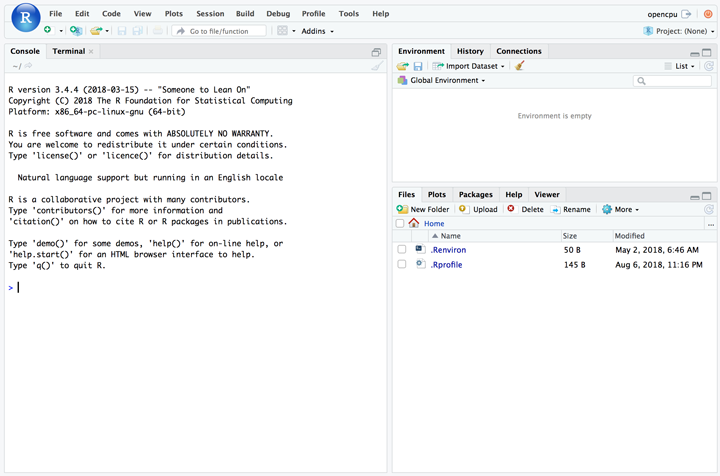 The Rstudio server was provided for users to connect the docker container just like in the desktop version of Rstudio. If the users can not to run a docker image, the standalone shiny service of BioInstaller is an another way to start the service. To reduce the dependence of BioInstaller, we do not add the Shiny application modules dependent packages in the DESCRIPTION file. The function ‘BioInstaller::web’ will check the required dependences of Shiny application and install them if the dependence not be installed.